Customers who want machine data collection want their data presented in an understandable manner. 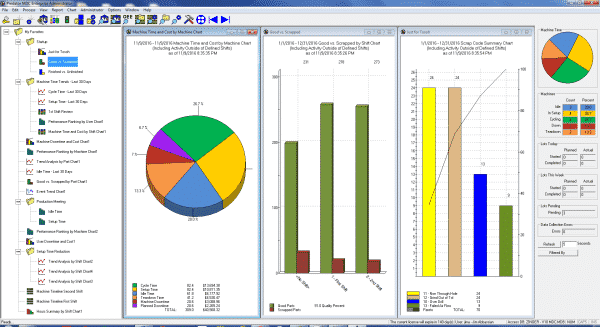 Charts and reports that are easy to read enable better data-driven decision making across the board. When operators and front office workers all have a universal understanding of machine utilization, everyone will succeed. Predator MDC can help! Predator machine data collection from up to 4096 CNC machines, robots, PLCs, ATE Test Stands, band saws, dot peen markers and other equipment per PC. Monitor simultaneous cycle time, setup time, teardown time, downtime occurrences with reasons, good parts, scrap parts with reasons and an unlimited number of user-defined events. Predator MDC supports an unlimited number of plants or buildings right out of the box. Multiple plants can share a single database for enterprise-wide reports and charts or each plant can have a separate database. Compare plants or compare buildings to improve productivity. 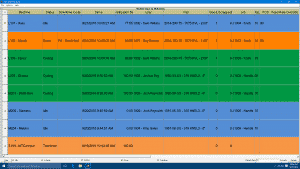 Organize your machines by grouping them per building or cell. Network PCs, CNCs, robots, PLCs and ATE test stands to create an entire real-time shop floor machine monitoring and data collection system. Keep score of your shop floor productivity with Predator MDC. Every second is tracked per machine, job, part, operation, shift, and person. Real-time dashboards display current machine, part, job, operation and personnel status. 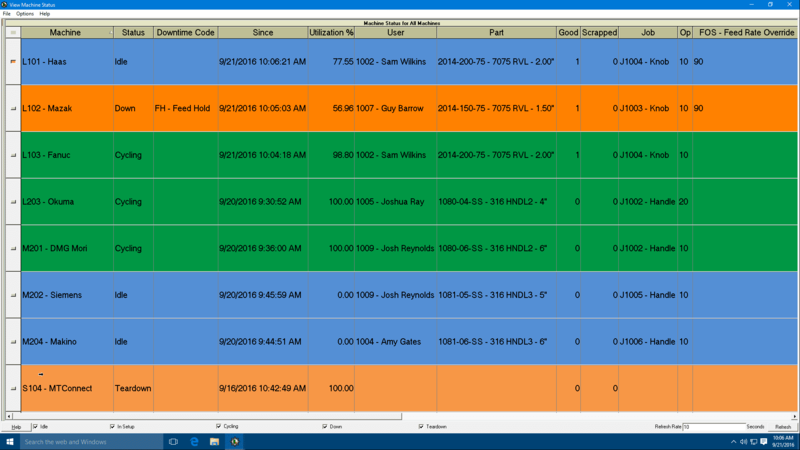 Multiple engineers, supervisors, and managers can view the dashboard from any networked PC. Leverage the power of the Internet and VPN from anywhere in the world to see the status of your shop floor. Make real-time slideshows for digital signage. Dedicate one or more large-screen monitors on the shop floor for real-time digital signage. 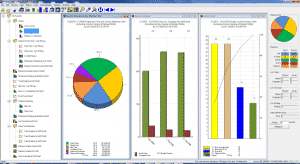 Create slides of charts, dashboards, and reports with specific filters and details. Eliminate manual posting of paper reports and charts. Provide a focal point for stand up shop meetings while enforcing productivity and manufacturing metrics that management, engineering, and quality departments care about.